Danza de los voladores Check out this video that I took at Xcaret (a park near Playa del Carmen, Mexico) of the Danza de los Voladores de Papantla, (Dance of the Flyers). It is an ancient Mesoamerican ceremony/ritual still performed today in isolated pockets in Mexico and Guatemala. It originated with the Nahua, Huastec and Otomi peoples in central Mexico, and then spread throughout Mesoamerica. The ritual consists of dance and the climbing of a 30 meter pole from which four of the five participants then launch themselves tied with ropes to descend to the ground. The fifth remains on top of the pole, dancing and playing a flute and drum. According to one myth, the ritual was created to ask the gods to end a severe drought. 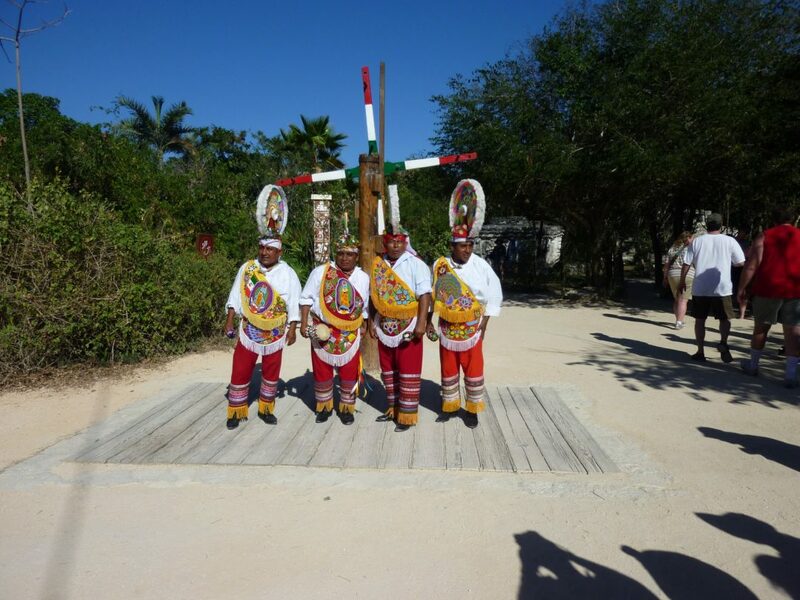 Although the ritual did not originate with the Totonac people, today it is strongly associated with them, especially those in and around Papantla in the Mexican state of Veracruz. The ceremony was named an Intangible Cultural Heritage by UNESCO in order to help the ritual survive and thrive in the modern world. I took all the pictures while studying on a Fulbright-Hays scholarship for a month in Mexico. What a beautiful country and people!